As a fleet manager, your responsibilities are seemingly endless, from safety issues and driver behavior, to route planning and fleet maintenance. What’s more, budget concerns remain a very real obstacle. Fortunately, GPS technology can help you do more with less while saving both time and money. Your payroll system is no exception. 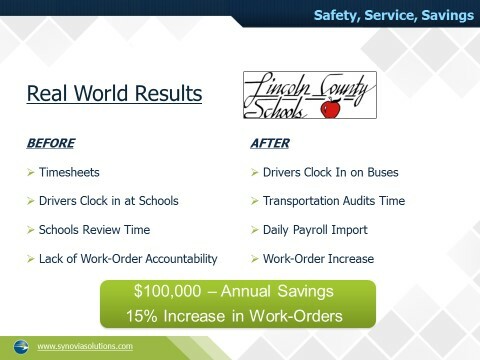 Read on to learn how Time and Attendance, a GPS-powered tool from Synovia Solutions, can help you better manage all aspects of your payroll system. Time and Attendance is capable of integrating with your current setup so that all of the information captured through GPS tracking can be exported to the payroll system you’re already using quickly and easily. By using Time and Attendance to automate time collection, you can eliminate paper timesheets by having your drivers login from their vehicles rather than your facility. By tracking driver and employee time more effectively, you can ensure a one-hour route isn’t being logged as a two-hour job or a driver with a four-hour day isn’t being paid for six hours’ worth of work. If your employees are logging their time by hand, chances are your payroll accuracy is suffering. By automating time collection, you can save quite a bit simply by eliminating inaccurate time entries. Even if you’re off by as little as one or two percent, that can have a significant effect on your overall payroll budget, no matter if you manage 20 vehicles or 2,000. One of the largest benefits associated with Time and Attendance is being able to accurately capture time for payroll purposes. If you’re paying your drivers based on time, it’s essential to know how much of that time is actually involved in a specific route or activity. Time and Attendance enables your drivers to log a job type with the same keypad they use to clock in from their vehicle, whether it’s their regular daily school route or a field trip. 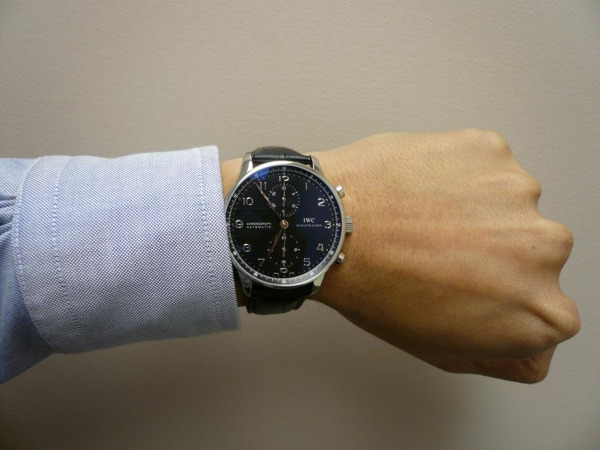 Time and Attendance also lets you review and manage the time that is being collected. As your drivers log in, your GPS system is sending that data back to you through the Synovia Solutions platform, which you can review to see who’s logged in, what their time cards look like and more – all in real time. In addition, you can compare your existing route schedules from your planning system to the actual time being logged by your drivers, so if a driver assigned to a six hour shift is logging eight hours, you’ll know. Even if you don’t pay your drivers based on time and instead use a daily or flat rate, accurate time capturing is incredibly important when it comes to healthcare, specifically the Affordable Care Act, which requires employees who work beyond 30 hours per week be provided health care benefits. If you’re not currently offering these types of benefits, the Affordable Care Act can present you with a rather large expense. That’s why it’s so important that you ensure the time you collect is accurate. Time and Attendance also includes an employee portal, which allows drivers to log in and view how many hours they’ve logged. The employee portal also allows non-drivers or dual-role employees (someone who may drive in the mornings and work as an office employee during the day) to log time spent on activities that don’t involve operating a vehicle. This can be done from a computer, so both time spent on the road and in the office can all be captured on one time card. Even if one of your drivers forgets to log in or out, GPS data will provide you with a full picture of that driver’s day, from when that driver left to time they returned. There are no “he said, she said” arguments over time discrepancies because all of the data is right there in front of you. Time and Attendance Saves You Money. Period. 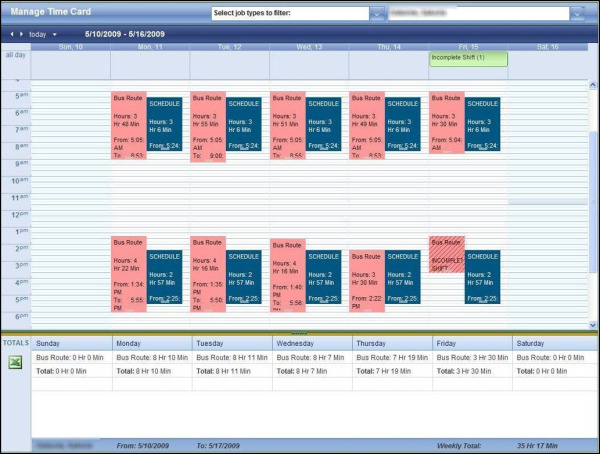 The example below shows a timecard representing a week’s worth of work, which alerts you to the fact that the amount of time logged exceeds the time allotted for a particular route or shift, enabling you to investigate and subsequently correct the situation. Below that you can see weekly totals representing logged activities, including time spent per day. Having this information helps you better manage your employee payroll and reduce time spent on specific shifts or activities where possible, leading to significant overall cost savings. Real-time vehicle information on the health of your city’s fleet – from police cars to bulldozers to ambulances – allows you to make informed decisions. This equips your team to perform preventative maintenance and often times dispatch mechanics before they are even requested. Without a remote diagnostics solution like Synovia, cities have to touch check every vehicle and preventable maintenance is overlooked or forgotten due to workload. This results in more downtime for your workers and costlier repairs to the vehicles. That’s why remote diagnostics technology can be a vital tool for a municipal maintenance manager. Remote vehicle diagnostics pulls information every minute the vehicle is in use and gives you visibility into the vehicles’ performance. The vehicles are tracked by the vehicle identification numbers (VIN). Diagnostics such as odometer readings, fuel economy, and fault codes feed into our software. This data empowers a maintenance manager to act on real-time information and proactively manage the department. 1. Improve scheduling of preventative maintenance. When you rely on a driver to report mileages, or maintenance staff members to check them, there will be inconsistencies in the data. Someone forgets to report the numbers, or writes down the wrong odometer reading. With direct data from remote diagnostics, human error is at its absolute minimum. 2. Accurately track your fleet’s health and driver behavior. Fuel consumption and fault codes are useful indicators to review both the vehicle health and driver behavior. 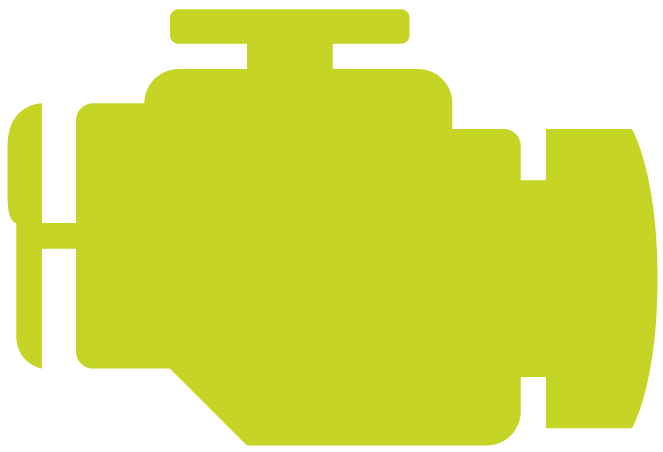 For example, unexpectedly high fuel usage can be an indication of a leak or perhaps reckless driving. You can also audit city-issued credit cards to ensure they aren’t being used for personal use. Without up-to-date and accurate information, a situation can go unnoticed for quite some time before it’s caught. 3. Provide damage control and be proactive to vehicle issues. Every driver won’t react instantly to something like a temperature light. If a problem is severe, that delayed response can cause major damage to the vehicle. With remote diagnostics, the maintenance manager can receive a text or an email alert so that the team can act quickly to certain fault codes. Knowledge is power, and a deeper insight into the status of a city’s vehicle fleet can preserve vehicles’ lives and save money. This allows you to provide better service and help your team do its job. As a Transportation Director, it's your job to make sure changes to the bus schedule schedule are clearly communicated to everyone involved, and we realize that it's no small undertaking. That's why we've compiled this list for how to handle a weather-related delay or cancellation. Your goal is to ensure the safety of your students, and in order to give advance notice of a change in schedule, it sometimes means making a decision based on the best information you have available in time to provide notice. 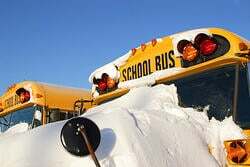 If weather conditions exist, are predicted, or have the potential to impact school operations, conditions should be closely monitored and information gathered from multiple sources. Be in touch with local meteorologists. Administrators should consult school maintenance and custodial staff who are responsible for clearing and treating school parking lots and sidewalks to check on conditions at the site. In the event of inclement weather, your goal should be to provide as much notice as possible of closings, early releases, or delays to our parents, students, and employees. Sometimes however, conditions catch everyone by surprise and you must make a decision much closer to the occurrence. Because of the uncertainty of each event, no exact time of each notification can be provided. Because your school system likely covers a large geographic area, weather conditions can vary dramatically in different locations around the area. Often, major roads are in good driving condition, but the neighborhood streets are extremely dangerous. In situations such as these, the decision to delay or cancel school is made in the best interest of EVERY student. The more vehicles you can use to do this, the better. You never can overcommunicate a change of this magnitude. That being said, parents and staff should be notified by telephone. Use an automated notification system like ParentLink to make this easier. If you utilize ParentLink, updates will be sent for passing along further weather information. Update the school's home page on the website. Call local radio and TV stations to announce the delay or cancellation as well. You can't forget about the games and practices that are likely on the calendar. 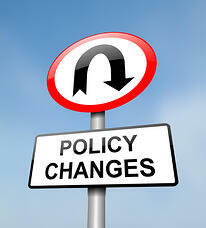 As you communicate changes in schedule, make sure you communicate whether these activities will continue. Parents (and students) will, no doubt, be wondering! Don't forget to plan for make up days if you end up canceling school altogether. Potential make up days should be built into your calendar for this very reason - teacher workdays and holidays are often sacrificed. By monitoring weather, deciding ASAP, determining if roads are safe for travel, notifying parents and staff, announcing after school activities and updating your master calendar, you are well on your way to handling a weather-related delay or cancellation with ease. 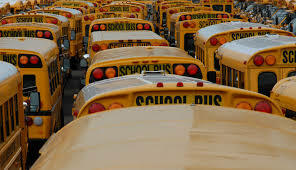 As a transportation director, superintendent, or anyone else responsible for operating a smoothly-running school transportation environment, your top priorities are safety, efficiency, and cost savings. View the webinar below to see how these issues can be addressed in your school system. No time for the full webinar or want a supplemental guide to take with you? Download our ebook on school bus safety below.